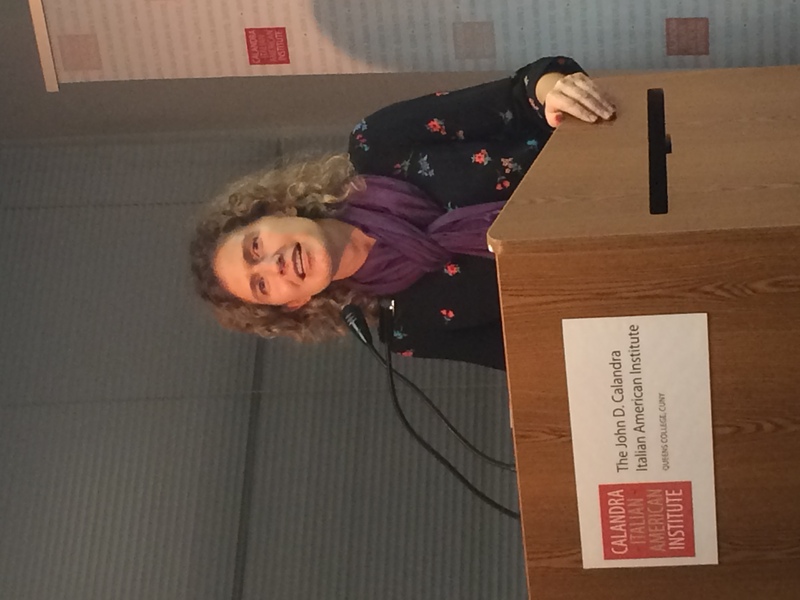 Elizabeth Zanoni, associate professor of history at Virginia’s Old Dominion University, presented her new book Migrant Marketplaces: Food and Italians in North and South America (2018 University of Illinois Press) at the Institute on October 9. 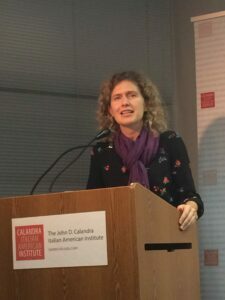 Her brilliant talk covered the intricate and fascinating links between Italian migration and foodways in both New York City and Buenos Aires. The relationships among all the factors are startling and rich. Autographed copies of the book were available for sale at a discount at the event (as is typically the case; another among many reasons to come to the Institute! ), but you can still buy it here.